Mato & Hash provides the perfect combination of quality and value in these reusable grocery bags. Help the environment and yourself at the same time by picking up a few of these convienent shopping bags. 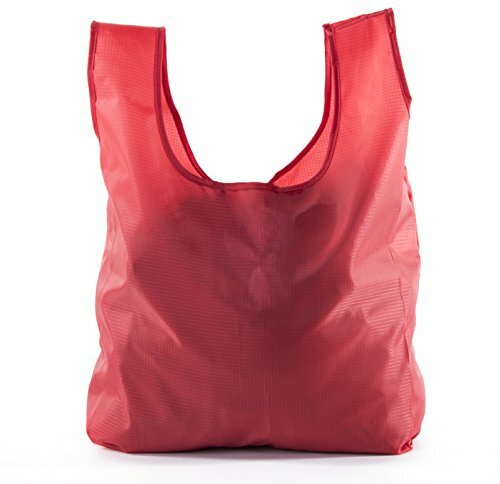 Made of 210T Ripstop Nylon, this fabric is capable of making the best reusable grocery bags on the market. Very similar in size to a normal plastic grocery bag, these are the perfect size bags for your next shopping trip. Big enough to carry everything you need, but small enough to remain easy to carry. Each of these reusable grocery totes come with an integrated string pouch, allowing you to fold this bag up into a small portable pouch that can be easily stored in your car, purse, or wherever is most convienent. Washable by hand, reccomended mild detergent and hang to dry. Available in 9 different colors, with discount packs for bulk orders, Mato & Hash is sure to provide the best reusable grocery bags possible for almost any occasion - At a very affordable price. *STURDY + LIGHTWEIGHT - The 100% 210T Ripstop Nylon fabric that these shopping totes are made of is the ideal fabric for shopping bags. It is a lightweight fabric that is also VERY sturdy and resistant to rips. Ripstop Nylon is known to hold heavy loads safely, feel free to load up on as many items you can fit and carry them comfortably. *WASHABLE - Being washable is a must for any reusable grocery bags. We recommend hand-washing these with mild detergent, and hanging to dry. *QUALITY + VALUE - As always, Mato & Hash provides some of the best quality reusable grocery bags on the market at a very competitive price. You are unlikely to find a better bang for your buck. Whether you need just a few for your next shopping trip, or a bulk amount for a promotional event, we've got you covered. Available in 9 different colors. Save money on multiple piece orders with our PACKS!